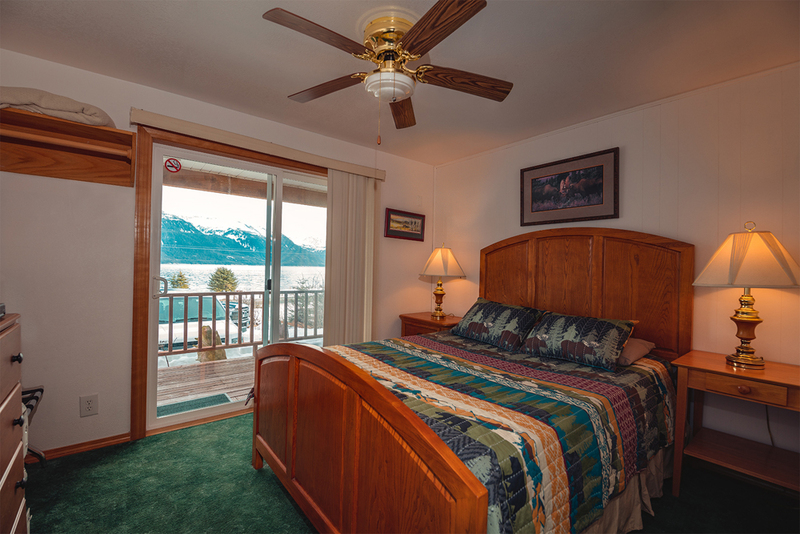 This beautiful room has a queen sized bed, a wonderful view of the Lynn Canal, a private entrance and a private full bath. 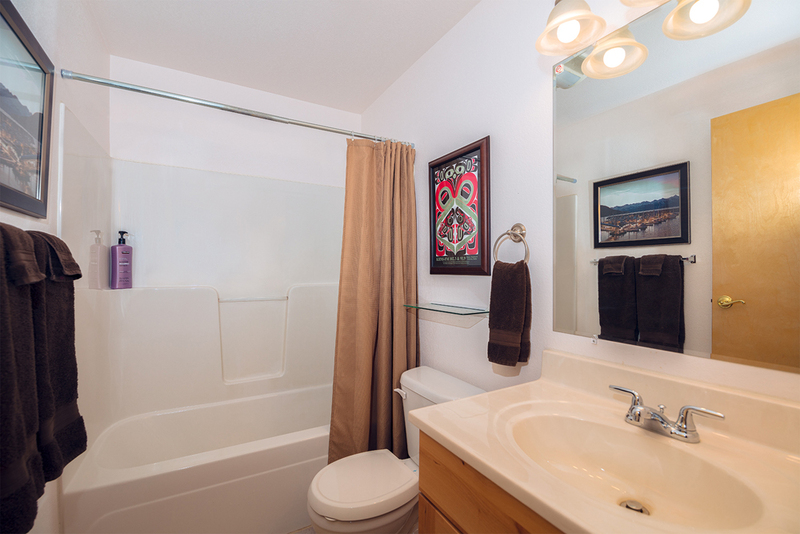 It also has a refrigerator, microwave and coffeemaker, Direct TV ,DVD player and Wi-Fi. The lodge has a wrap around porch with outside seating and gas grills. Guests have full access to the lodge's private beach with seating, firepits, and fishing. May 1 to Oct 31 rate is $105 per night plus 9 1/2% sales and lodging tax. Nov 1 to April 30 the rate is $80 per night plus tax. Please see the Policies and Rates tab for pet, deposit, refund and other information.